A tour operator which offers bespoke tours in the Cairngorms National Park is celebrating after achieving a prestigious Quality Assurance award from VisitScotland. 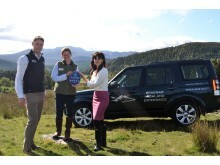 Braemar Highland Experience, situated in Royal Deeside has secured a five-star rating from the national tourism organisation. The grading highlights businesses within the VisitScotland Quality Assurance Scheme who continue to exceed customers’ expectations on an on-going basis whilst taking an innovative approach to customer care. Having left their careers as a musician and an academic respectively, co-owners Katy and Julian Fennema moved to Braemar in 2014 to develop their award-winning 4-Star Gold guest house, Callater Lodge while also running Braemar Highland Experience. 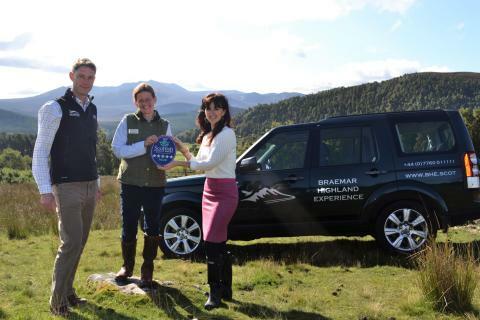 However after running two businesses side-by-side, Katy and Julian decided to focus their efforts on Braemar Highland Experience full-time to help create an unmissable experience for visitors to the region. They offer three different routes to explore the area - on road bespoke tours, guided walking tours and off-road tours on private hill roads in the heart of the Cairngorms National Park, giving visitors the chance to look out for red deer, golden eagles, red and black grouse, red squirrels and mountain hares. Katy and Julian also have the privilege of creating their customer’s own personalised itineraries based on their needs and wants. They recently provided an off-road tour for a 95-year-old woman to revisit the mountains in which she spent her youth walking and took a young couple, spending their honeymoon on Deeside for two walks into the heart of the Cairngorms. 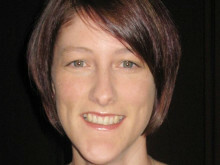 Jo Robinson, VisitScotland Regional Director, said:“My congratulations go to Katy and Julian at Braemar Highland Experience on the outstanding achievement of a 5-star rating.